But is it all too late for Blackberry? 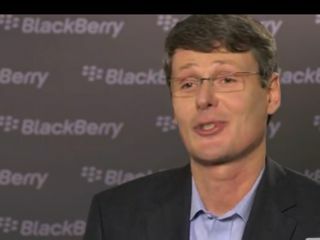 Newly instated RIM CEO Thorsten Heins has revealed that despite the company's woes BlackBerry won't be sold and he is not looking to take the easy route out of the current situation - ie, bow down to Google and release BlackBerry-flavoured Android devices. Speaking to Crackberry, Heins commented on rumours in the media on plans to break up or sell RIM, saying: "my true belief is that RIM has the strength and the assets that we can really succeed in this market". He notes there is renewed positive energy in RIM's offices and it is proud of its integrated solution of hardware, software, services and network, but admits there will be a lot of change in terms of structure and software. Challenging the philosophy of other manufactures who build devices to sit on Google's Android operating system, Heins admits that RIM is not following this easy route and instead is doing things the hard way, but believes its the right path for Blackberry and its users. However this may be too little too late for RIM, in the UK at least, as a BBC Newsbeat investigation suggests almost three quarters of Blackberry users want to change their handsets. This follows a series of problems Blackberry experienced during 2011 including service outages and handsets which failed to match the standards of competing devices.